It is all possible now thanks to Lithium Battery technology. 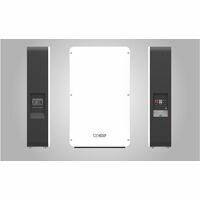 Smarter, bigger and lower cost installations are driving demand. Even better, if you have added additional power consumers to your boat and the generator trips at times with higher loads, there is now an effective solution. As an addition to shore power so the shore power supply doesn’t trip. A conventional “combi” inverter/charger will operate as an inverter when there is no AC input voltage present, and as a battery charger when AC is available. That’s it. When AC is available the input current will be the current drawn by the battery charger plus the current taken by the connected AC appliances.A powerful battery charger draws a lot of current: a 48V 50A charger for example will take nearly 10A from the AC supply. When connected to a 16A socket only 6A will be left for the remaining AC equipment on board. The result is that a powerful combi will trip a 16A circuit breaker as soon as some equipment is switched on. All too often shore power in the marina is limited. All too often small gensets are ahead ache because of premature failure or frequent maintenance. Lithium Batteries are virtually maintenance free. Generator hours are reduced. Genset maintenance reduced. 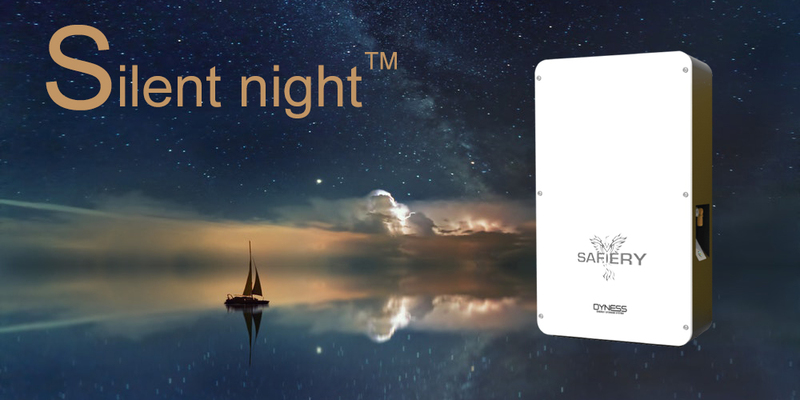 Silent NightmeasurestheAC input current and gives priority to the connected AC equipment. Whatever current is “leftover” isused to charge the batteries. The bidirectional converter of Silent Night operates in parallel with the AC input and will add current (with energy from the battery) whenever demand exceeds the capacity of the supply!